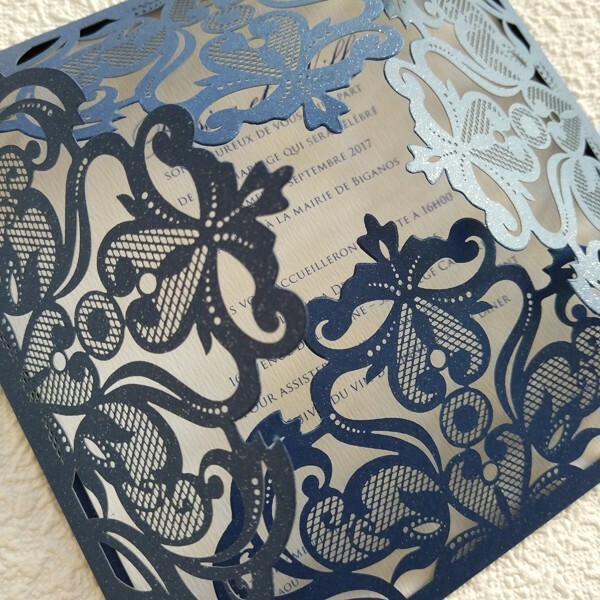 A contemporain style wedding invitation with it's delicate laser cut exterior. 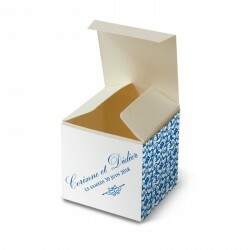 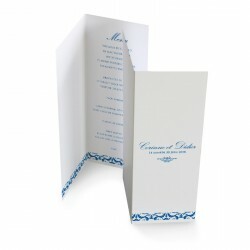 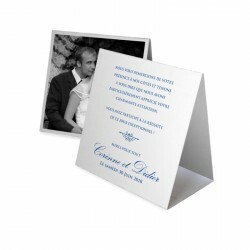 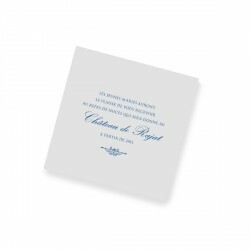 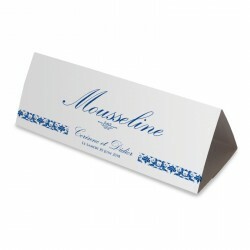 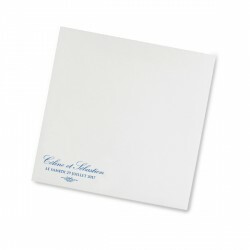 This invite with a mix of blue and white plays in the shadows created by the graceful external card. 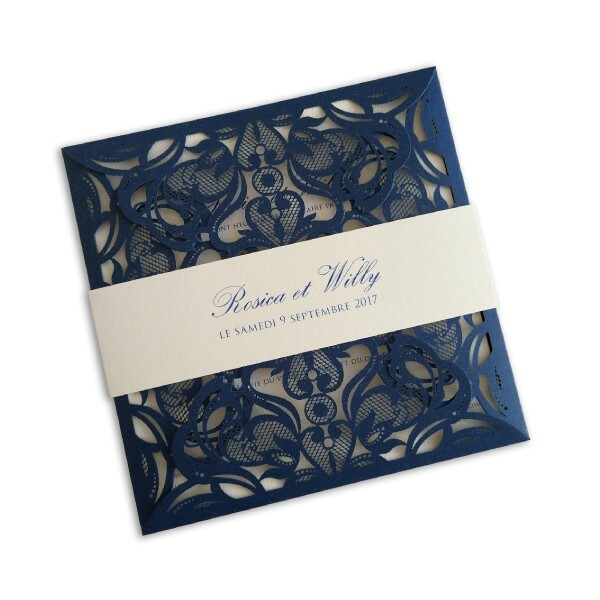 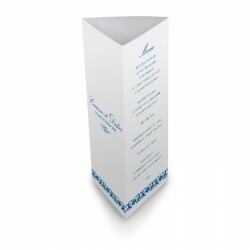 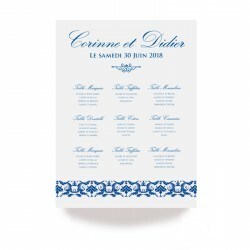 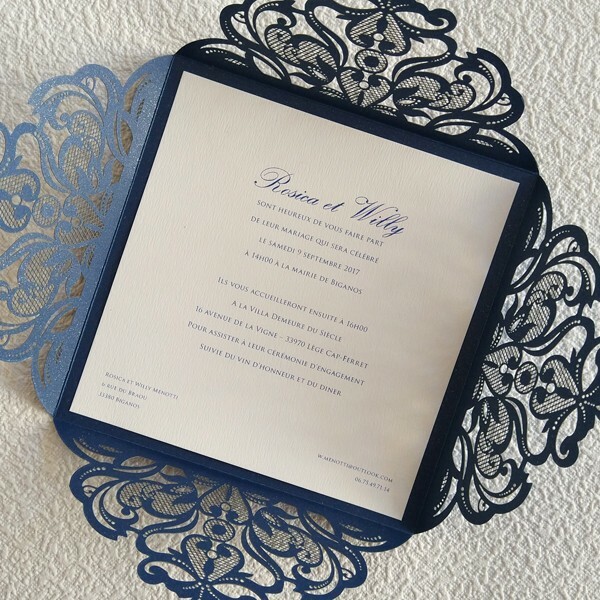 This square blue lace wedding invitation opens completely to reveal your text in a combination of classic fonts. 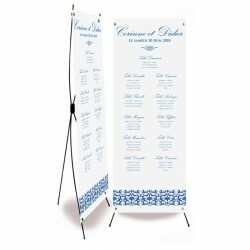 The final touch to added is the closing band printed with the wedding couples names and wedding date. 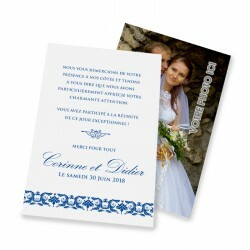 Invited to are here to help you with you layout. 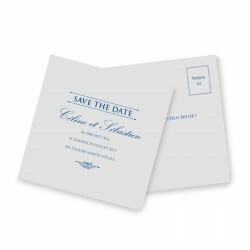 Request a proof below to receive a digital example by email. 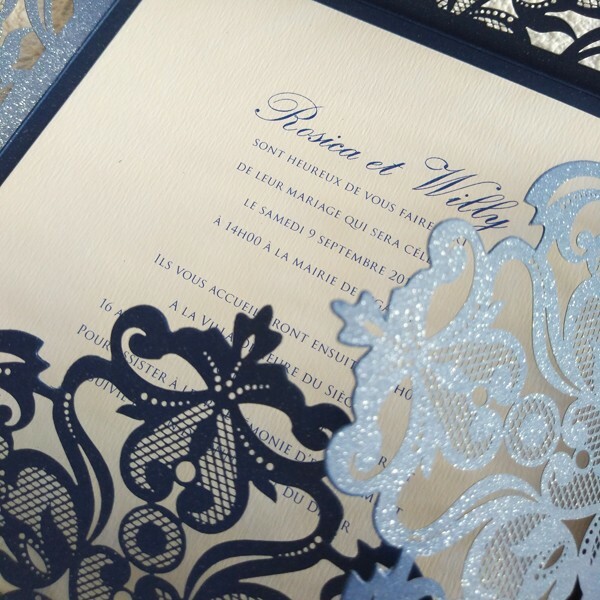 All our proofs are created by our design team. 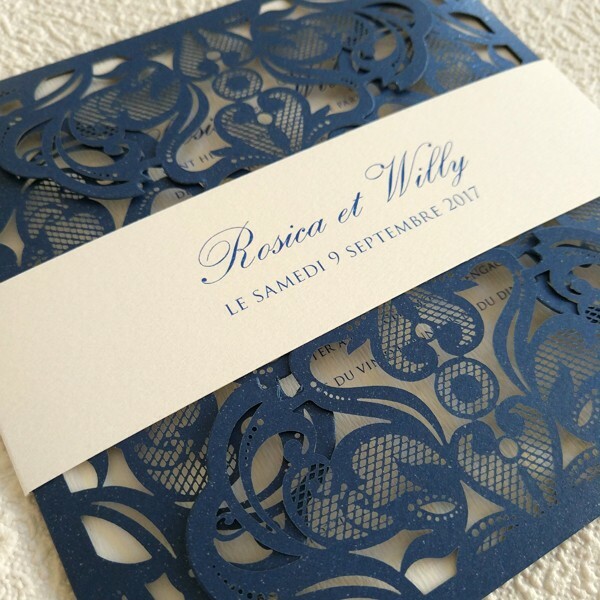 You can also select below the different element associated with this laser cut wedding invitation, which include everything from assorted envelopes right through to thank you cards.